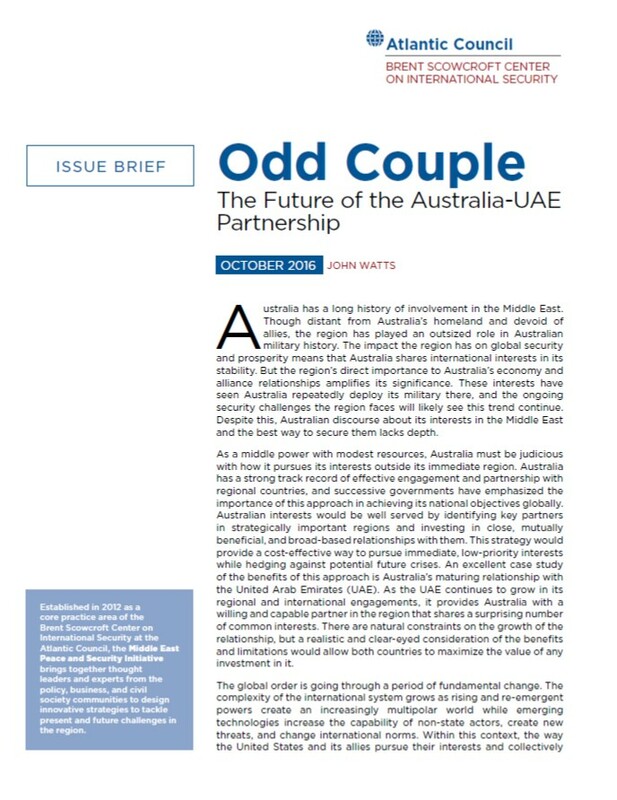 Considering its geographic distance and lack of formal allies, the Middle East has played an outsized role in the history of Australia's global engagement. While Australia's interests in the region are real and increasing, as a middle power with finite resources it must take a smart approach to pursuing them. Australia has a strong track record of effective security partnership and investing in a close relationship with a key partner there offers a range of benefits. The United Arab Emirates (UAE) is an ideal candidate as the two countries have rapidly built a strong and collaborative relationship, and they share a surprising number of mutual interests. But an expanded relationship faces several natural constraints, and both countries must have a clear-eyed and well-articulated understanding of the benefits and limitations if it is to mature.